Cambridge School now has its own campus! But we had the opportunity to expand our ability as a school to work out our mission and vision more effectively for years to come. We are so thankful for the relationship we've shared with the parish at St. Charles for 13 years, for the memories, and for the families who have joined us along the way. 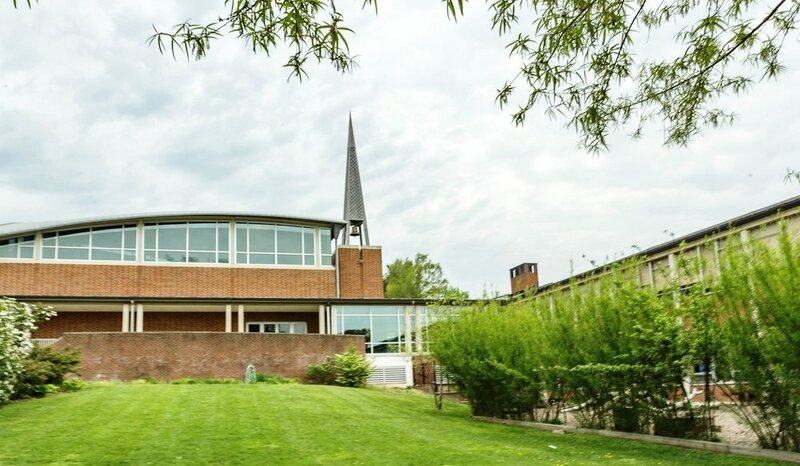 On August 31, 2018, Cambridge School purchased the former Brown Memorial Presbyterian Church property at Woodbrook at 6200 N Charles St., Baltimore, MD 21212. Rent/expenses at St. Charles: >$200k/year. Rent/expenses if we own our own campus: <$150k/year. We have to raise $1 million. (donations of lower or greater amounts accepted). Better equips Cambridge School to live out its mission to partner with parents to educate the hearts and minds of students in virtue and truth. Our educational philosophy and what we stand for happens better at this new property. Improves the financial stability of Cambridge, reducing the acute need of the Annual Fund to offset the annual operating gap. Owning our own property frees us up to direct more resources toward ongoing strategic improvements, including, but not limited to, raising teacher salaries long-term.